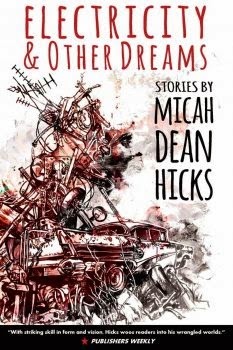 We begin the first round of Bracket One of the Battle of the 2013 Books with Electricity & Other Dreams by Micah Dean Hicks going against The Returned by Jason Mott. 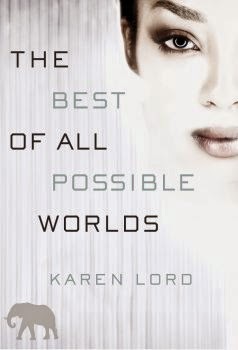 The winner will be the book I (Jackie) most want to continue reading after 25 pages. Electricity & Other Dreams: New American Press; 2013 (the collection of 26 stories were published individually from 2010 to 2012); 224 pages; cover design and interior art by Liz Green. Micah Dean Hicks writes "magical realism, modern fairy tales, and other kinds of magical stories." Per our rules concerning story collections, I read the most recently published stories until I had read a total of 25 pages, which happened to be three complete short stories. No "spoiler alert" endings are revealed. "The Alligator Guides" -- Story two in this short-fiction collection is a bizarre tale about three southern backwoodsmen Mitch, Sawyer, and James who hunt alligators while philosophizing about the nature of God. Their catch, muddy alligators, are tied to the outside of the truck, then the guys roll into a car wash to clean off the mud. No character in the story, just me the reader, was surprised that the alligators turned into alligator men. "Ladybaby's Chickens" -- Here we have a fantastical story of old chicken-keeper Ladybaby who buys herself three chickens, more like roosters with their sharp spurs. Old neighbor Bubblegum tells her that ferrets are better. And he's right because the new chickens, real bawking chickens, turn the "playhouse" into a meth lab. Ladybaby takes the blame. "I drink that meth all the time," she says to the Corrections Officer. "Dog Summer" -- Lijah works on his car while dreaming of leaving the drudgery of his life at home in the rural south. His mom and brother have jobs at the plant. His sisters are home with their dad who seems unable to do much of anything except watch TV. Lijah finds temporary jobs picking peas, beans, or okra. With his meager salary, Lijah buys parts for his car, working hard, until he finally gets the engine to turn over. 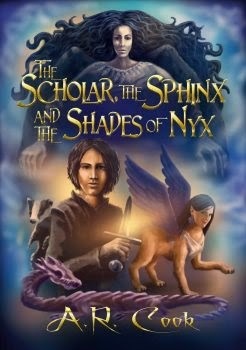 But then the unthinkable happens to thwart Lijah's plans. The Returned: Harlequin MIRA, September, 2013; 338 pages; cover art uncredited. 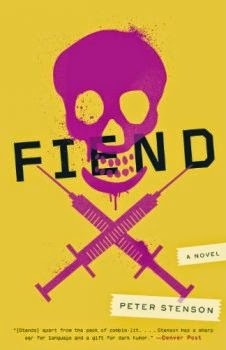 This is Jason Mott's first published novel. Mott's two poetry collections are also published. Lucille and Harold Hargrave have been listening to the news. Apparently, people who have been dead for years are alive and returning to their loved ones. "They're not people," says Lucille. "They’re devils…." The doorbell rings. Harold Hargrave opens his front door to reveal Bureau Agent Martin Bellamy and a young boy. "Jacob?" asks Harold. The boy rushes to Harold and wraps his arms around him. This boy is the spitting image of Harold’s 8-year-old son who died in 1966, not having aged a bit in these many decades. Agent Bellamy reveals that Jacob was found by a river in a small Chinese village. Things calm down as Jacob settles in with the Hargraves. Lucille picks up where she left off back in 1966. Harold takes up chain smoking and harbors a feeling of unease. Other reports pop up about more dead people returning to life. Kami Yamamoto, wearing a war uniform, walks into a convenience store, saying, "I surrender." Agent Bellamy is now part of the Bureau of the Returned, dealing with those "people" who were dead but now show up alive. How many of the "returned" are out there? Agent Bellamy answers, "not terribly many… a small phenomenon, a modest number… only enough to remain miraculous." Yet more and more "revived" people appear. 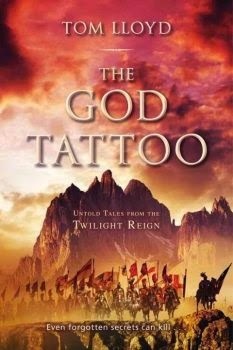 The Battle: Having a fantastical short-story collection battle a mainstream fantasy/horror novel made my decision very difficult. 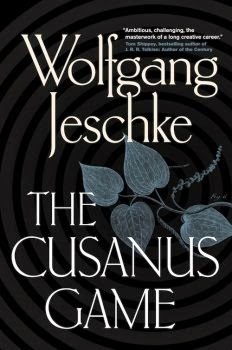 Not because I had to compare a short story collection with a novel, but because both books were well-crafted and entertaining! With my love of short-shorts, I found that Electricity & Other Dreams offered powerful stories that left me hankering for more. These stories were concise and complete with twists and turns, including a touch of magical realism. The stories included characters from rural Americana with settings fashioned so real that the magical elements brought in seemed to flow as a matter-of-fact, daily occurrences, as if nothing out-of-the-ordinary was happening. However, out-of-the-ordinary is precisely what we read: the sane mixed with the insane. I enjoyed all three stories, and I felt sorely tempted to read more than the twenty-five pages. 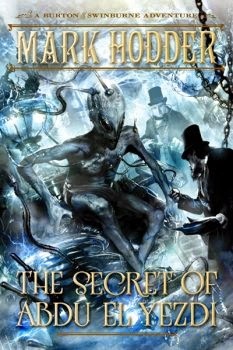 The plots for each of the three stories were unique and bizarre, and I felt a hunger for more. 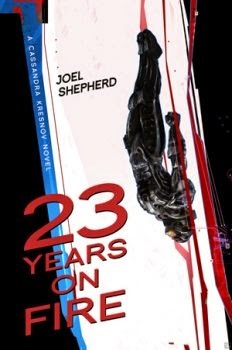 However, near the end of the third short story, I felt that I knew what would happen, but the ending still broke my heart. Despite any foreshadowing, the story’s ending remained gut-wrenching and frustrating. 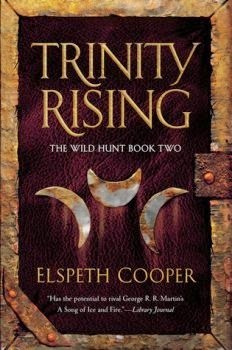 The other two were stories so unique and bizarre that my attention was riveted to the pages until the end. The stories in Electricity & Other Dreams masterfully dragged me along with familiar setting and then plowed me under with their fantastical elements and crazy endings. The Returned offered a plot that was easy to follow and engaging. The characters seemed authentic with their interactions and responses. 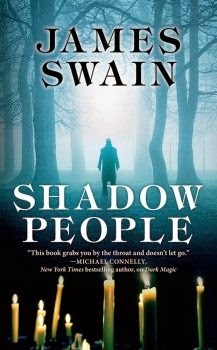 The fantasy/horror book - with the returning dead - presented a mystery that I wanted to read to the end. This premise holds much promise! We don't know much about the dead who have returned, but they seem as confused about their situations as the living relatives and communities they have returned to. The little boy Jacob and the WWII soldier Yami have been dropped into unfamiliar locations with their minds, seemingly, unchanged from the time right before they died. We are left supposing that maybe more people have returned than Officer Bellamy is disclosing. Fortunately, this grim but hopeful story gives us humor, too, such as the familial bantering between spouses Lucille and Harold. 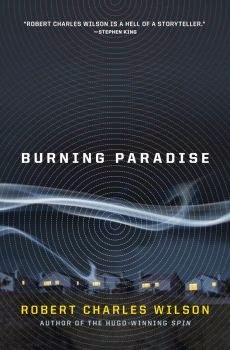 A mystery built up in The Returned, and questions a journalist might ask arose: who, what, when, where, and why. Why are the dead people returning? Are they really the same people who died? Will the revived-dead be a joy or a sorrow? "What are they?" Mott’s book was turned into a TV series titled "Resurrection." 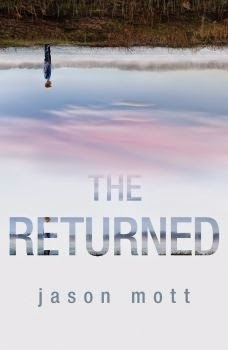 As a side note, while searching for the name of the American TV series, an Internet search found a French TV show called "The Returned," based on a 2004 French movie titled They Came Back by Fabrice Gobert, which has a similar theme. In conclusion, having read 25 pages, I (Jackie) must give these two outstanding works of art very high ratings. Unfortunately, the battle rules say I must choose one book to continue in this Battle of the Books. Maybe my love of short fiction and appreciation for magical realism comes into play with my selection. Electricity & Other Dreams advances to the second round, to take on either Fiend by Peter Stenson or Never by K.D. McEntire. Announcing Bracket One of the Fantastic Reviews Battle of the 2013 Books! 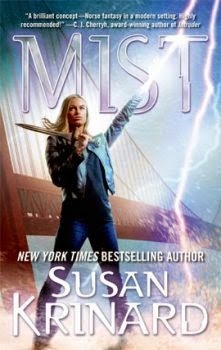 We started the Battle of the Books at the Fantastic Reviews Blog as a fun way to try to keep up with the great volume of review copies we were receiving. (For more about why we started the Battle of the Books, click here. The good news is we've done nine brackets of books so far, eight 2012 brackets and one 2014 bracket, discussing over 140 books. We've had a lot of fun and gotten some great feedback from the authors both here and at Twitter and other social media. Here's the basics for how we work our Battle of the Books. We start with a bracket of sixteen books as contenders. For the first round, our judge / reviewer will read the opening 25 pages of both randomly matched-up books. The winner will be the book they most want to continue reading (not necessarily the better book -- how would they know that after only 25 pages?). Those books that win their first-round battles advance to the second round. For the second round, our Battle of the Books reviewer reads both books through page 50. Then they choose which of the books they'd rather continue reading. So if a good book starts slow, in this review format, it may face an uphill battle. Books that win their matchups advance to the semifinals. For the semifinals, The reviewer reads through page 100, then picks which of the two books they'd prefer to continue reading. The winners advance to the finals. This bracket, Bracket One of Battle of the 2013 Books, introduces a new reviewer for Battle of the Books, Jackie Sachen Turner. She is no stranger to Fantastic Reviews. Jackie has previously written four book reviews for Fantastic Reviews. 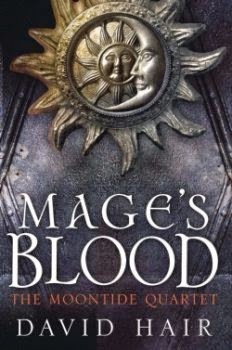 -- Classifying books before you read them is tricky, but I'd guess this bracket features 5 fantasy books, 2 YA fantasy, 4 science fiction, 2 mainstream speculative fiction, 2 story collections and 1 horror novel. -- It looks like 7 of the books continue an existing series, 2 are the first volume in a new series, and 6 appear to be stand-alone books. -- 5 books come to us from Tor, 5 from Pyr, and 1 each from Del Rey, Jo Fletcher, Crown, Harlequin MIRA, New American Press, and Knox Robinson. We have completed Fantastic Reviews Bracket Eight of the Battle of the 2012 Books. There were plenty of good book battles along the way. Hope you enjoyed our reviews of samplings of these books! Congratulations to Osama by Lavie Tidhar, winner of this Battle of the Books bracket! Let's give a round of applause for all the participating books! Stay tuned for Bracket One of the Battle of the 2013 Books. Another sixteen books are lined up for this competition. These are books we received earlier, but hadn't had the time to review yet because of real life getting in our way. We're valiantly working to whittle down our backlog of books. Jackie, a new Battle of the Books reviewer, will be judging this bracket. We'll be announcing the books which will be featured as our next group of contenders soon. We have arrived at the championship round of our current bracket of the Battle of the Books. 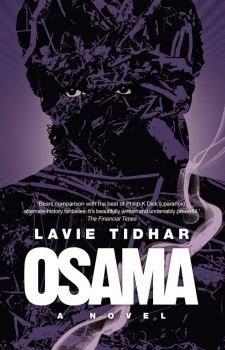 In one corner we have Osama by Lavie Tidhar. In the other corner we have Libriomancer by Jim C. Hines. Two fine competitors. I (Aaron) have read through Page 200 of both these books, and the novel I most want to continue reading to the end will be the champion of Bracket Eight of the Fantastic Reviews Battle of the 2012 Books. Osama: Solaris, October 2012 (published in UK by PS Publishing in 2011), 302 pages, cover art by Pedro Marques. Lavie Tidhar is an Israeli writer now living in London. Osama won the 2012 World Fantasy Award. Osama made it to the championship by overpowering The Steam Mole by Dave Freer in the first round, by defeating Beyond Here Lies Nothing by Gary McMahon in the second round, and by pushing past The Diviners by Libba Bray in the semifinals. The setting of Osama is an alternate universe where Osama bin Laden is not a real terrorist, but the hero of a series of pulp novels, the plots of which parallel actual terrorist attacks from our world. Our hero Joe is a private investigator hired by an enigmatic woman to find the author of the Osama books, who writes under the pseudonym "Mike Longshott." In the first 100 pages, Joe tracked down the publisher of the books in Paris. Most of the next 100 pages take place in London, where Joe believes he will find the author. But Joe repeatedly encounters interference from people who do not want him to find his target. One clue leads Joe to an opium den, where he has a vision of another world like his own, but more frenetic and computerized. It's a world that seems strange to Joe, but not to us. Libriomancer: DAW, August 2012, 305 pages, cover art by Gene Mollica. 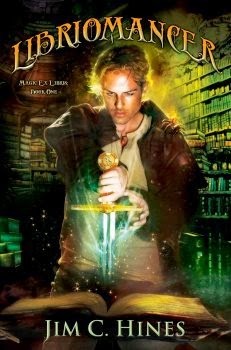 Libriomancer is the first volume in Jim C. Hines' latest series, Magic Ex Libris. Libriomancer made it to the championship by easily beating out Dead Religion by David Beers in the first round, by defeating Untimed by Andy Gavin in the second round, and by overcoming A Pretty Mouth by Molly Tanzer in the semifinals. The protagonist of Libriomancer is Isaac Vainio, who can reach into any book he has read and pull out objects described in the narrative. The trouble is, if he draws on this talent too often, he starts to lose himself in those fictional narratives. In the opening 100 pages of Libriomancer, a large-scale struggle broke out between supernatural beings. Isaac fears that the world's first libriomancer, Johannes Gutenberg, is behind the conflict. In the second 100-page section, Isaac tries to trace the rogue libriomancer causing the trouble. This effort prompts a dangerous visit with his dryad companion Lena to the underground lair of a great colony of vampires. The Battle: One thing that becomes very clear doing the Battle of the Books is that there are many different ways to tell a good story. Osama and Libriomancer are awfully different but both excellent. 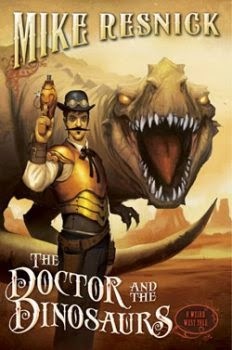 Libriomancer is a hoot for any lifelong reader of science fiction and fantasy. I can often identify the books Isaac is drawing objects from before Hines even names them. Hines works through the underlying magical system convincingly. And in the second 100 pages, he gives us a clue about the nature of the villain Isaac is facing that I won't spoil for you, but I found it a terrific surprise. Joe looked up from the book and drew a deep breath. This was insane. Longshott's obsessively neat facts and figures seemed designed to snare him, entrap him: names, times, street addresses, hobbies for the dead men. London. He thought: fuzzy-wuzzies, and giggled. Was he searching for Longshott, or was Longshott searching for him? The pulp writer was leaving him a trail of crumbs to follow, and he was following, and the world was slowly unravelling around him, a threadbare tapestry that could no longer quite comfort him against the chill. The Battle of the Books is not about making a case that one book is objectively better than the other. I'm not even saying one book is better in my subjective opinion. I decide the battles on a single subjective criterion: which book do I most feel compelled to keep reading? Libriomancer is a lot of fun. I enjoy it every time I pick it up. I expect I will enjoy reading the sequels. But when I put it down, I stop thinking about it pretty quickly. When I put Osama down, it stays in my mind. Tidhar's language continues to resonate. I keep thinking about the book's tough but ultimately lost protagonist, the shifting boundaries between his universe and mine. I don't know that Osama is better than Libriomancer. I don't even know if I'm enjoying it more. But I know I find it tremendously intriguing. And if I had a fire tonight and both books burned up, I know which one I would immediately have to replace so I could finish reading it. Osama wins Bracket Eight of the Fantastic Reviews Battle of the 2012 Books. Congratulations to Lavie Tidhar as our newest Battle of the Books champion! We've crowned a winner for this bracket, but soon we'll announce a whole new bracket of sixteen books. Jackie, our new reviewer for Battle of the Books, will be judging the next bracket. This will give Aaron a break, to focus on some short fiction recommendations. Stay tuned for more book battles to come!